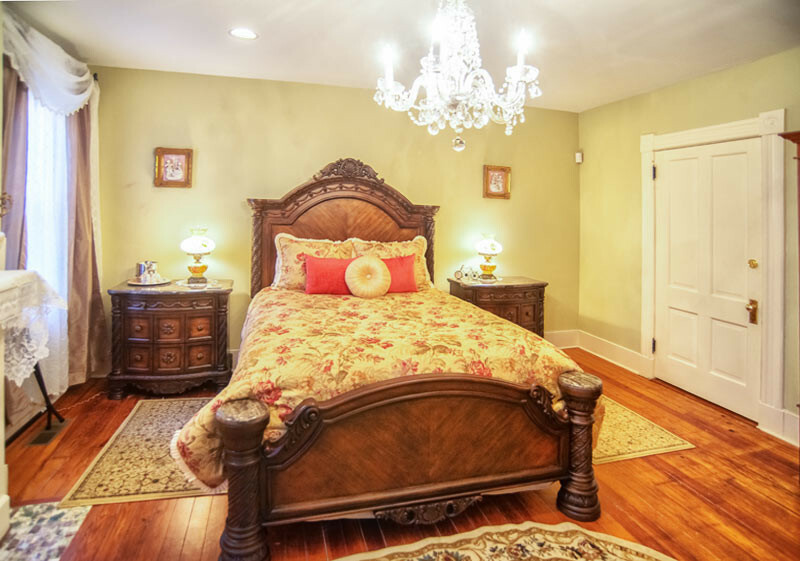 The lovely Whitaker Room is conveniently located on the ground level entrance. 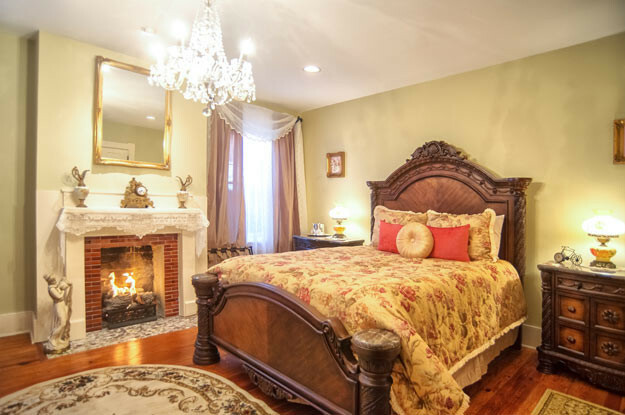 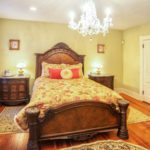 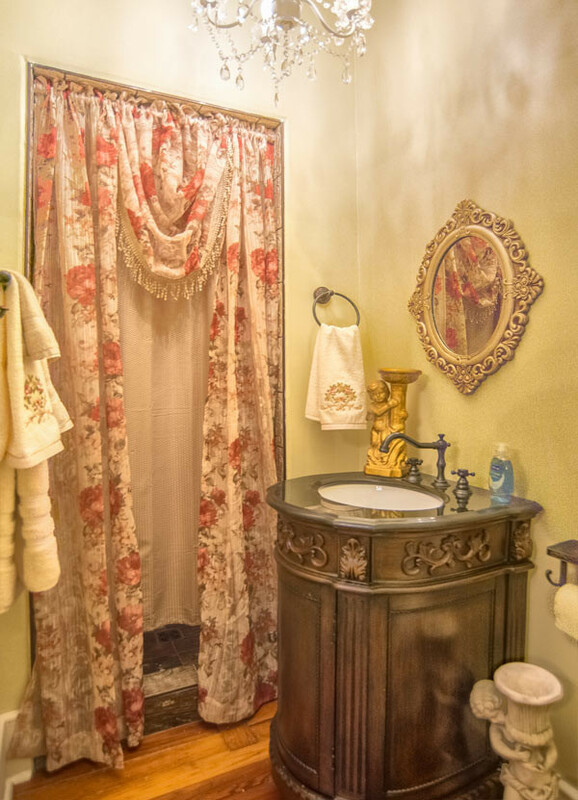 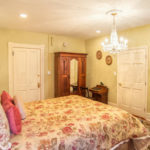 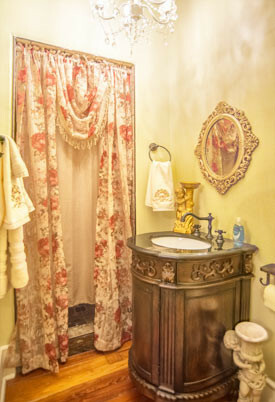 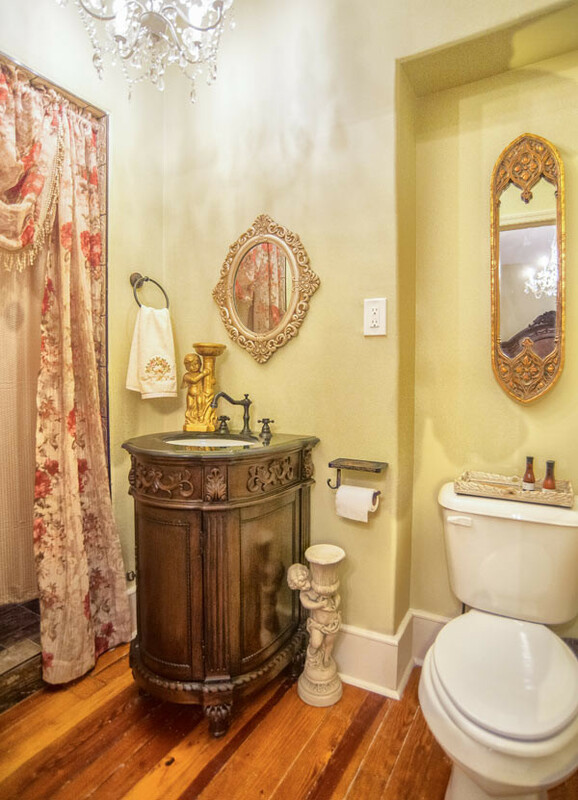 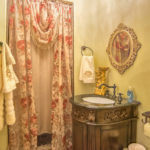 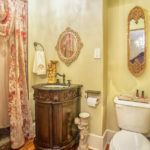 It welcomes you to Savannah with a comfy queen bed, fireplace, new bathroom with unique vanity and tile shower and period correct furnishings. 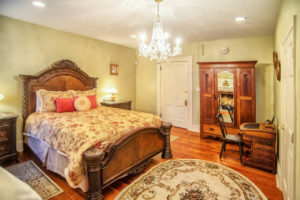 Amenities include: a small refrigerator, Keurig coffee maker, kcups, creamers, 2 bottled waters, Wi-Fi, new television with dvd player, iron and ironing board, wine glasses and ice bucket, and hair dryer. 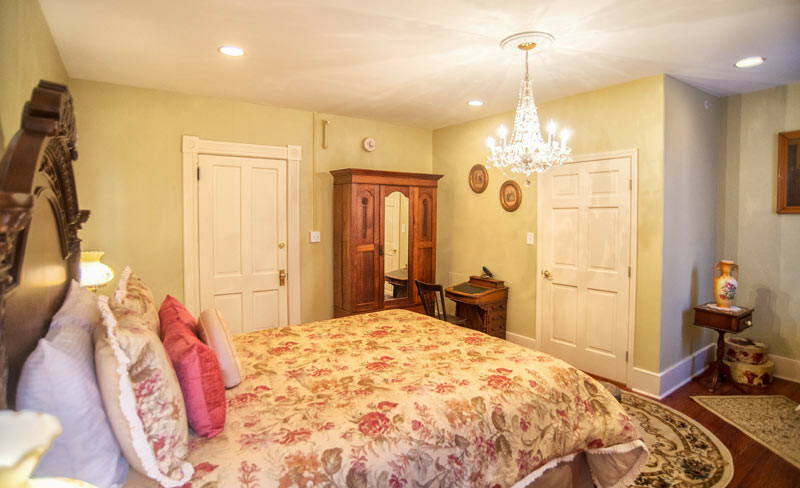 Spend some time meandering up Whitaker Street, then relax in your Whitaker Room!